A subtle, but important data-led re-brand is taking place. We ran a survey that produced some unexpected and interesting results. We believe that a key part of becoming a market leader is to really listen to what your customers have to say. Your customers will often have fantastic ideas for how your product or service can be improved, for example. Soliciting these thoughts from your customers can literally be a gold mine. For some time we have used the trading as moniker of, “Hooke & Co. Business Consulting.” Over time I grew concerned that the words, “Consultant”, “Consultancy” and “Consulting”, may be off-putting to some of the small business owners that we meet and serve. So to get some answers I decided to run this survey of people in our network, including clients and potential clients. The results were fascinating, and not what we expected. Much to the surprise of myself, my colleagues and our accountant, the strapline, “Business Strategy” was chosen by over half of the twenty survey respondents. A further surprise was on the job titles. “Consultant” came out as the most popular option with one-third of respondents choosing it. I can say with certainty that had we not sought feedback on our nomenclature then we would have almost certainly have picked different, possibly less effective, straplines and job titles. Hopefully we now have a nomenclature that is as appealing as possible to the people we need to build relationships with. I would urge small business owners to seek feedback from their customers wherever appropriate, especially on key decisions that directly affect your customers. Even with all your industry knowledge, you may not always make the best decisions on your own. Customer data-led decision making can really help here. 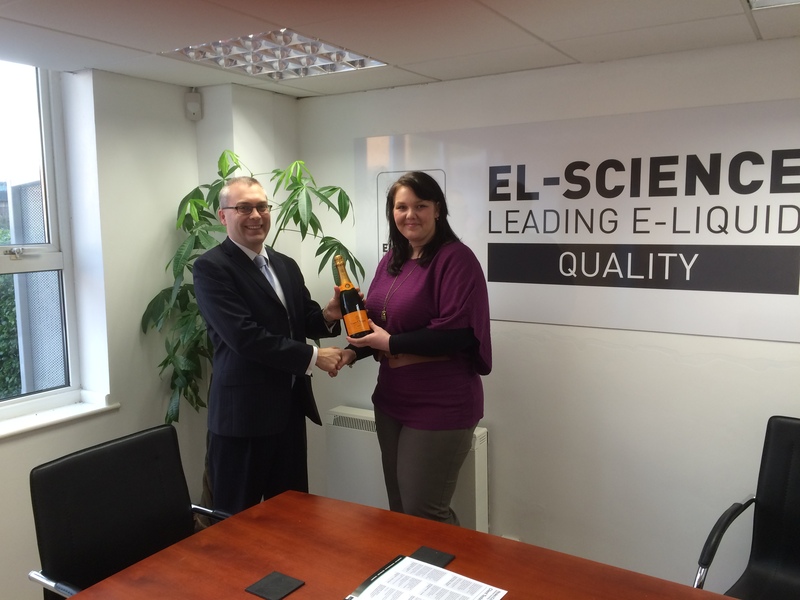 Finally, the winner of our prize draw was Jaydene Halliday of EL Science, pictured above. Congratulations Jaydene and thanks for sharing your thoughts with us!